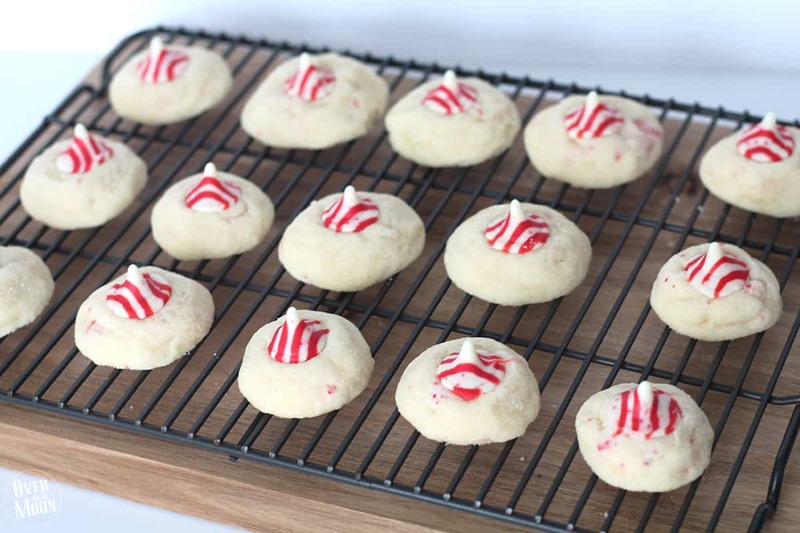 Today I’ve got the perfect Christmas cookie for you – Peppermint Candy Cane Sugar Cookies! This recipe was originally shared by my friend McKenna. But, the recipe needed some new pictures and a little update! This is a must-try cookie during the Christmas season! 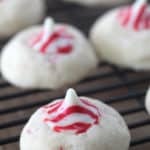 This recipe is super easy and has the perfect amount of peppermint flavor in my opinion! 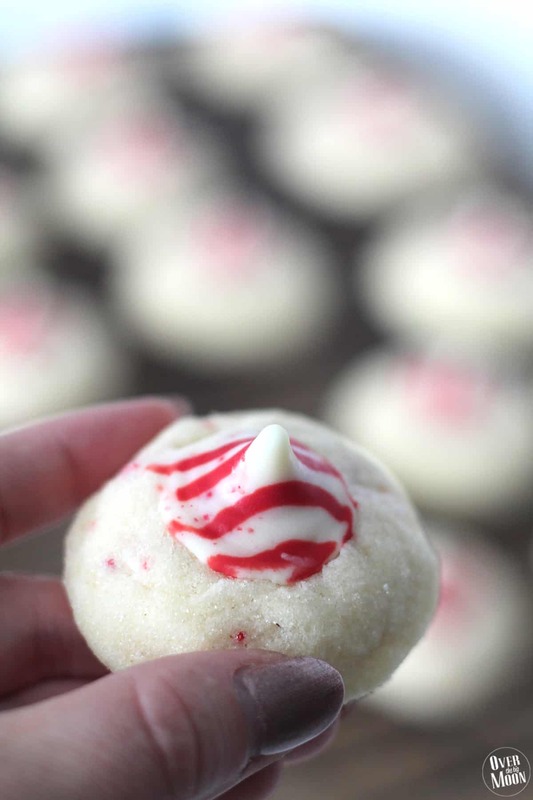 And the Candy Cane Hershey Kisses seriously adds such a yummy flavor! 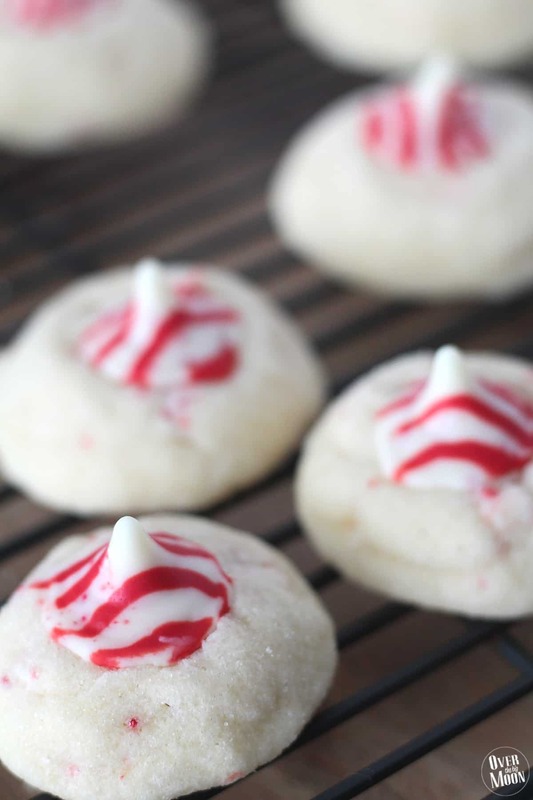 The perfect Christmas sugar cookie with a small peppermint flavor! Preheat oven to 350°F. Make room in either refrigerator or freezer for your cookie sheet. In a large mixer bowl, combine powdered sugar, butter, extracts and egg. Beat at medium speed, scraping bowl often until creamy (2-3 minutes). In a separate bowl, whisk together flour, baking powder and salt. Add to wet mixture and beat, scraping bowl often until well blended (1-2 minutes). The mixture will be a bit crumbly. Stir in chopped Kisses. Shape dough into ¾-inch to 1-inch balls; roll in granulated sugar. Place 1-inch apart on cookie sheet. 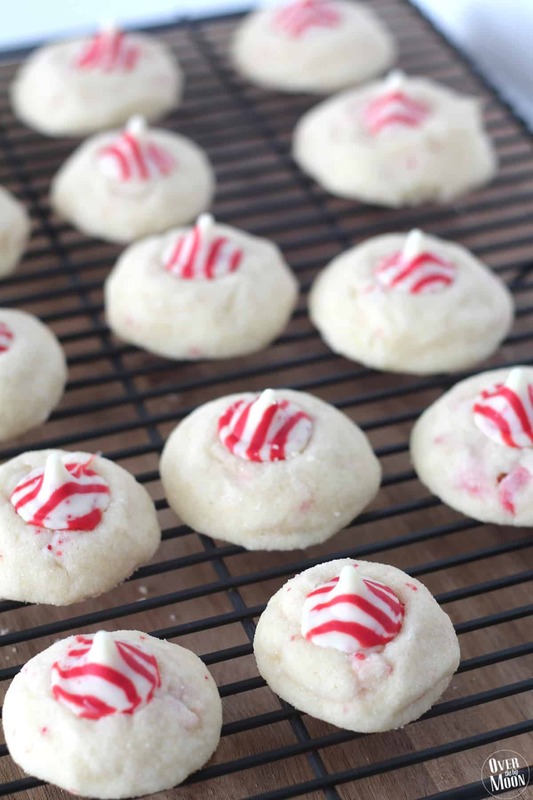 Once barely cooled, press a Candy Cane Kiss in the center of each cookie. They’ll crack a little around the edges, so just use your fingers to hold the cookie together while you set the kiss inside. Put cookie sheet (with cookies) immediately into the freezer (preferred) or refrigerator, so that the Kisses will set quickly. As soon as you press them into the cookie, they will begin to soften… so if you can get them into the freezer then they will keep their Kiss shape. Store in a covered container- at room temperature for up to a week. In the freezer they should be good for a couple of weeks. Don’t they look divine? They really are! These are the perfect cookie to take to your Holiday Cookie Exchange or for your neighbor gift this year! Enjoy!! Looking for more yummy cookie recipes? If you love this post, I’d love you to pin the image below! xoxo! Looks yummy . It’s easier to freeze the kisses first. You can press them into the cookie as soon as they come out of the oven instead of putting pan in the freezer. I will be trying this recipe. That’s genius! Can’t wait to try that!